With millennials drinking less than their parents, it is no longer uncool or unusual to be t-total. In fact, one in five adults doesn’t drink alcohol. While many of us only just manage Dry January, last year saw the launch of Club Soda, a ‘mindful drinking movement’ that aims to remove the stigma associated with not drinking in social situations. The success of non-alcoholic spirit Seedlip, created to solve the dilemma of what to drink when you’re not drinking, proved that people no longer mock mocktails. Bartenders are taking their non-alcoholic offerings seriously, rather than treating their virgin cocktail list as an afterthought. 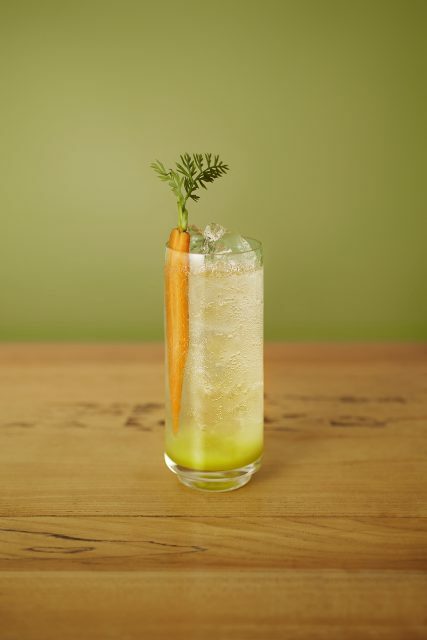 Ryan Chetiyawardana offers four non-alcoholic cocktails at Dandelyan on the South Bank, including the Apple Sourz-Less, made with Seedlip, peas, apples and pine syrup. Across town, The American Bar at The Savoy serves a quintet of non-alcoholic cocktails, including the Art Deco, made with Seedlip Spice, eucalyptus, peppermint syrup, citric acid and soda water. According to Nielsen, the value of non-alcoholic wine in the UK rose by 66% last year, while no-ABV beer showed 37% value growth.